Mercure Yangon Kaba Aye is your hotel in Myanmar’s largest city. Discover the comforts, tranquility and warm hospitality of this inviting residence. Our multilingual staff are eager to welcome you. Business travelers, expatriates and holidaymakers: Mercure Yangon Kaba Aye is your ideal Yangon abode. Its seven storeys are conveniently situated just 10 km from Yangon International Airport and a short drive from University of Yangon. You are within walking distance of Inya Lake, Yangon Convention Centre (YCC)), Myanmar International School Yangon (MISY), Myanmar Investment Commission (MIC), two hospitals and Myanmar Plaza shopping centre. For such a central location, the hotel is a surprising oasis of peace and calm. 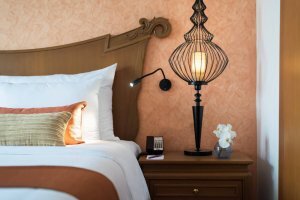 All 183 rooms and apartments feature complimentary high-speed WiFi and creative décor inspired by Myanmar people and culture. For long-stay guests, Mercure Yangon Kaba Aye proudly offers one-, two– and three-bedroom apartments with a fully equipped kitchen and separate lounge/dining room. 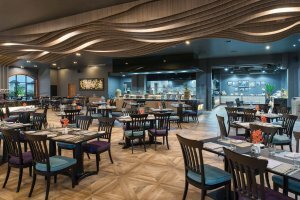 Enjoy the local and international flavours of our contemporary restaurant, serving a bountiful buffet – as well as à la carte dishes – from early morning until late at night. The cosy bar is the perfect spot for relaxing drinks, light bites and good company. For one night or many, alone or with family, let Mercure Yangon Kaba Aye be your home away from home. Excellent Hotel and very Cordial Staff.